​should not prevent you from leading an active and healthy lifestyle. If you have asthma, you should avoid leading an active lifestyle – this is FALSE and a common myth! Having asthma or being asthmatic should not be an excuse to stop leading an active and healthy lifestyle. Much of asthma treatment is grounded on prevention. With proper management and compliance to treatment, asthma can be well controlled, allowing those with the condition to lead a quality life. This was advice provided the Department of Respiratory & Critical Care Medicine at Changi General Hospital (CGH), a member of the SingHealth group. Asthma can be well controlled and may even go into remission with proper management and treatment. The goal lies in understanding how your airway is affected by asthma (see diagram below). If you would like to start exercising, check with your doctor which are the activities that would suit you; for example, low-impact activities such as walking or swimming. Maintaining an active lifestyle is also beneficial to those with asthma. And always bring your medications along with you! Apart from being unable to exercise, here are other common myths and misconceptions about asthma. Myth 1: Asthma goes away. You can grow out of it. Fact: Asthma goes into remission in some children around puberty, but it often comes back. Sometimes, it returns when young adults start drinking alcohol. It is important to continue taking maintenance medications until your doctor tells you otherwise. Myth 2: Inhaled steroids are dangerous and affect the growth of children. Fact: There is no proof that inhaled steroid impairs growth; in fact, children with poorly controlled asthma are shorter compared to those whose asthma is well controlled. Myth 3: People with asthma cannot exercise. 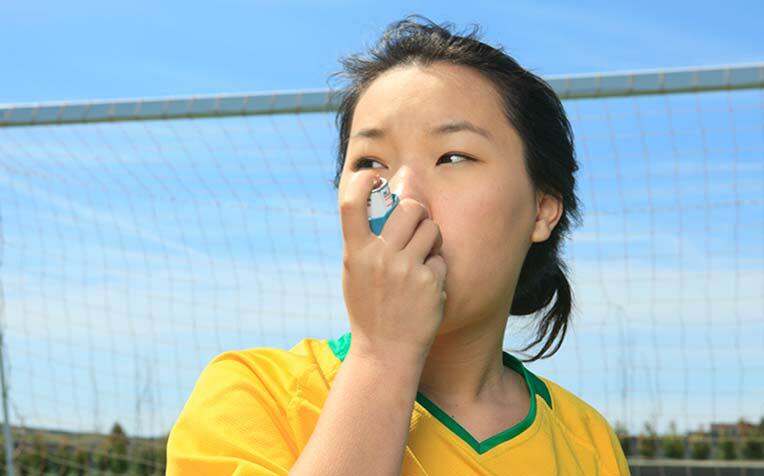 Fact: It is important to maintain an active lifestyle even if you have asthma. Start with low-impact activities, such as walking or swimming. Check with your doctor on the types of activities that would suit you. Looking for tips to better manage your asthma? Just click on the link!